Will there be an e reader version availiable? Thank you! I can't wait to read this. Currently reading "Four Ball One Tracer" and "Gunship Ace". I want to read about EO from the "main source" so to speak, so I will look forward to this! I came to your blog in search of some truth. I read obscure journalists reporting on the state of affairs In South Africa, Mainly the reported constant attacks on the farmers. You hear nothing on mainstream media, ( which I have altogether stopped watching anywise many years ago) but as you mentioned in your blog about lies , deceptions and no truth. are these lesser known reporters telling the truth ? like Pejotade Fotografia . if they are accurate what, a truly horrific state of affairs . or are they painting a picture of fear mongering and hate. Hi: Could you please tell me if this book will be available on Amazon in the UK or here in the US where I am located. If so, when? I am not sure if it will be sold in the UK via bookstores, Oscar. 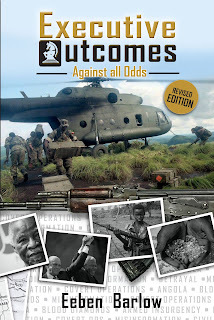 I do know that a lot of orders are received by www.warbooks.co.za and that they do buk shipping to the UK. Thanks for your interest Rocca. Media reporting always comes with agendas Bearfootbob. To say all is well in SA would be a lie as the situation is very volatile and problematic. Farm murders and other crimes are very high. But, the media often ignores the crime stats to pacify domestic and foreign investors. Attempts are being made by the incoming administration to urgently address these issues but as you know, this will not happen as quickly as it ought to .